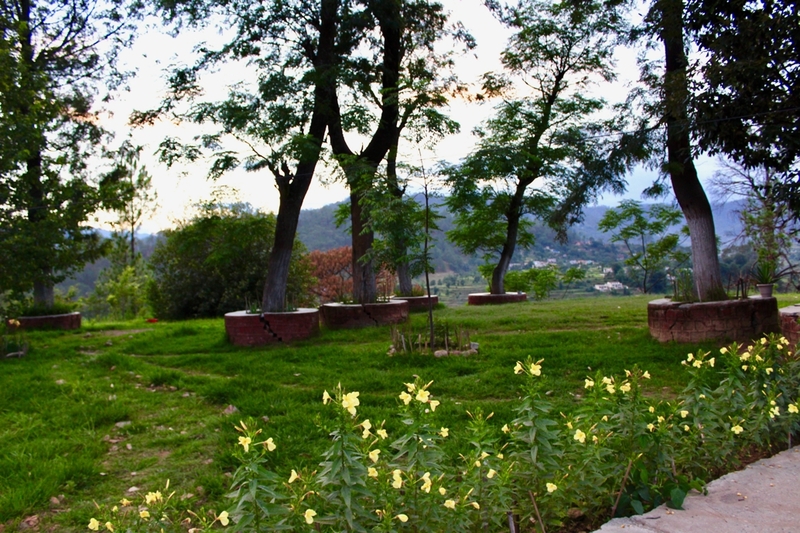 Don’t we all have that feeling that we should just run away from the daily chaos of life to a calm and serene place! Little things affect us as well as our mental health on a day-to-day basis. I did find my perfect escape to a peaceful, calm and serene land. 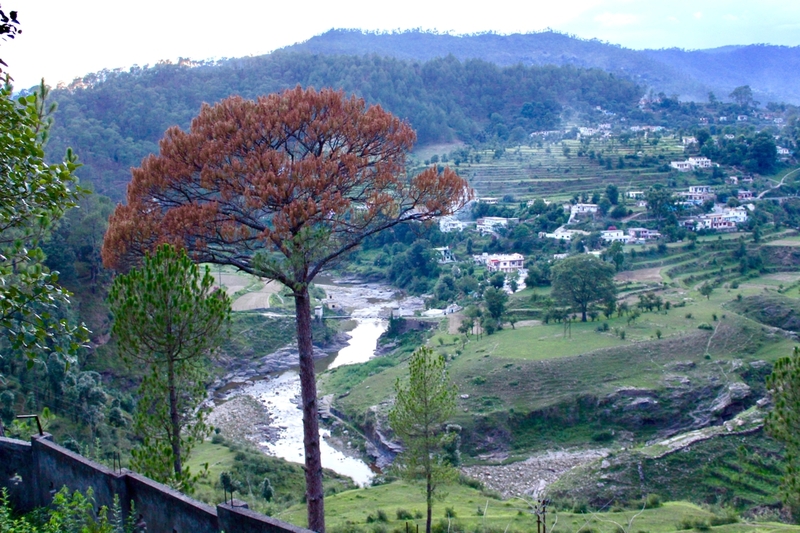 A 10-hour beautiful drive led me to a captivating location in Uttarakhand. 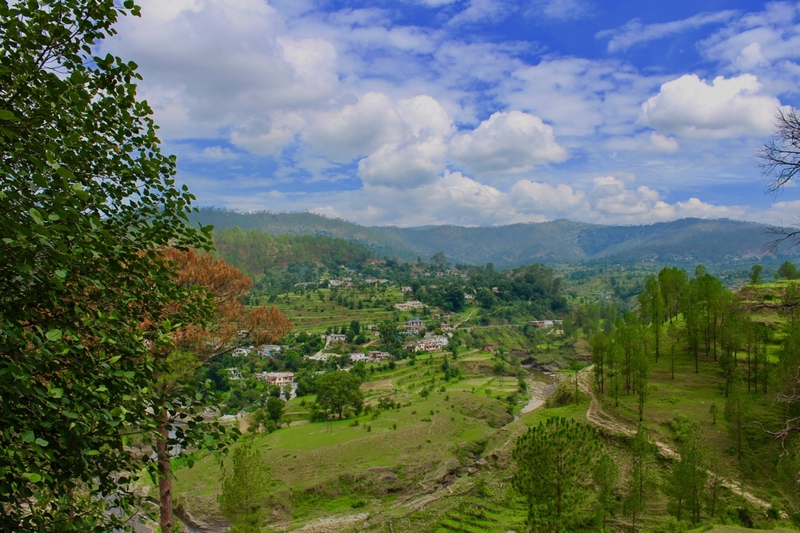 No, it wasn’t to the usual hill stations that most of us would have visited all life long! 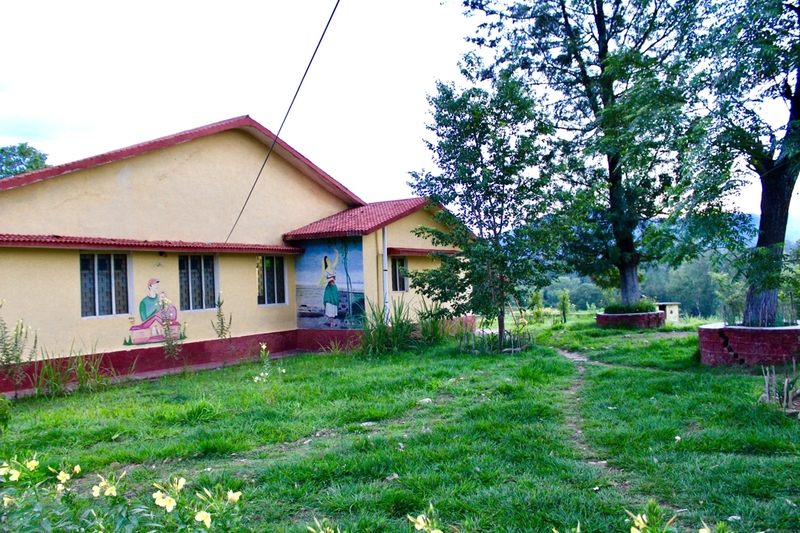 Innisfree at Hawalbagh was completely different to what we experience on a day-to-day basis! 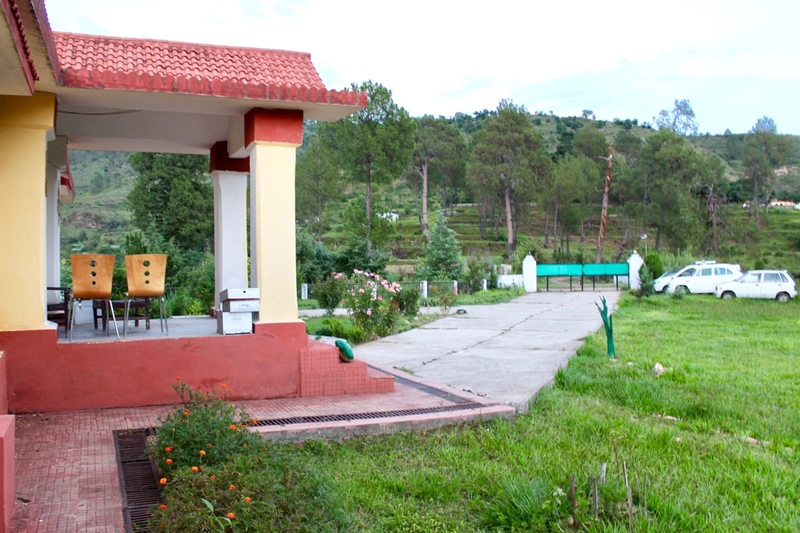 A 3-acre land away from the hustle bustle of daily life, it lies a little ahead of Ranikhet located at Almora District of Uttarakhand. 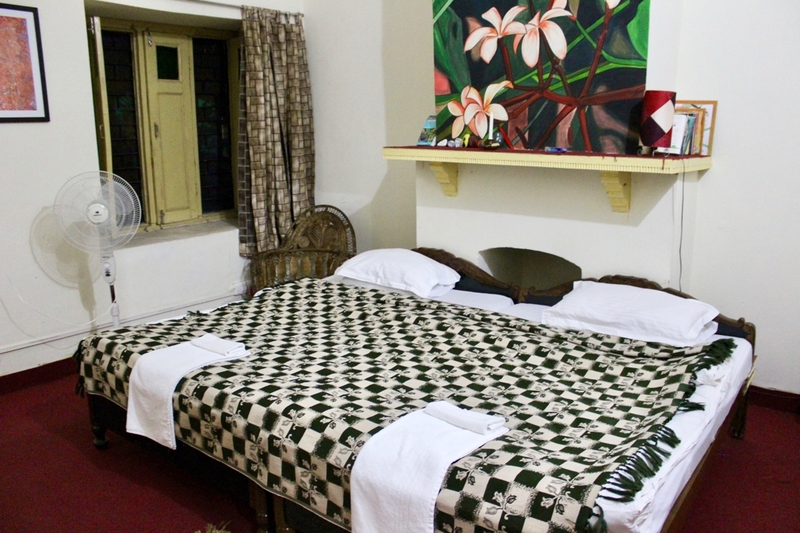 Big spacious rooms, warm hospitality, chirping birds and breathtaking views is how I would like to introduce this place. Julia and Lyat who run the Homestay personally came to receive us to the gate. They both are known for the hospitality they offer and my experience was infact even better from what I had read about them online. They are perfect, accommodating and caring! Parents of two young children, they have a special affection to dogs and cats. We did spot cute dogs and cats in the vicinity. 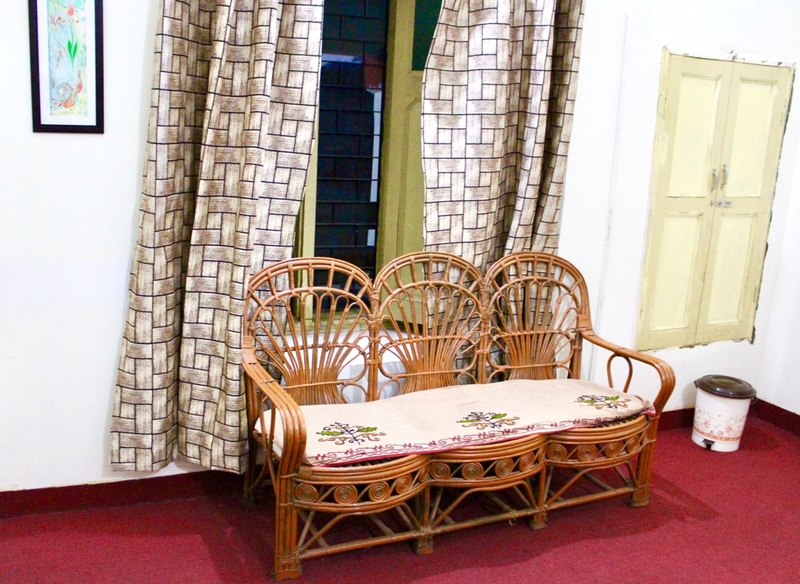 The place has an old rustic charm to itself; afterall it’s an idyllic Hawalbagh Dak bungalow built in the late 1700’s which is pleasantly tucked away from the maddening crowds with rooms which are spacious and comfortable. 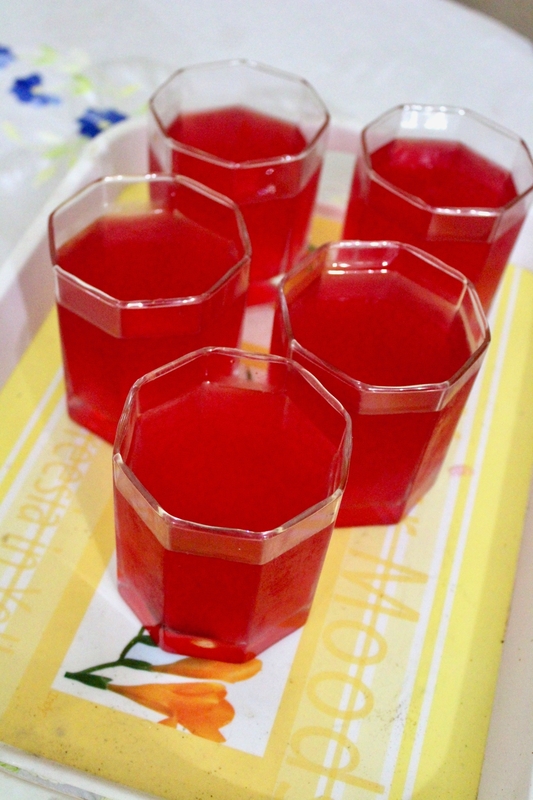 Our welcome drink arrived in no time and we were refreshed with the sweet taste of the buransh squash (rhododendron flowers). Julia personally showed us the lovely property, which we were excited to stay in. 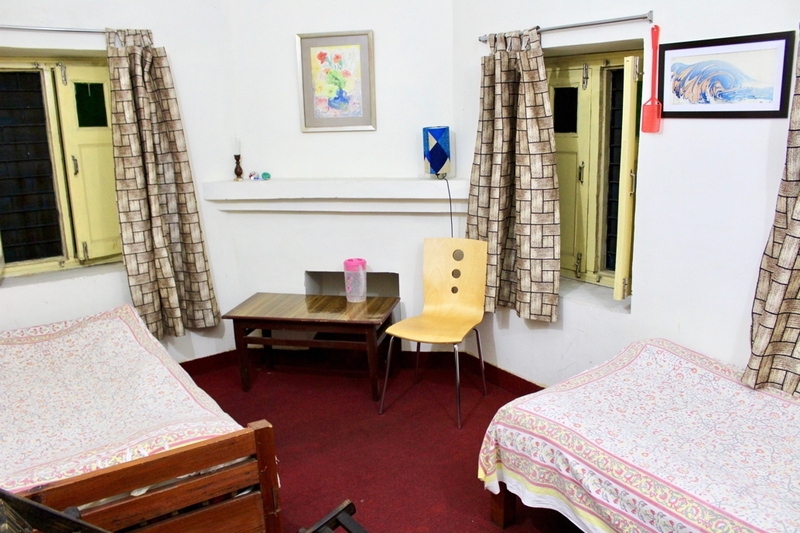 There are two cottage suites/ sets of two and three rooms each separated through a common dining area. 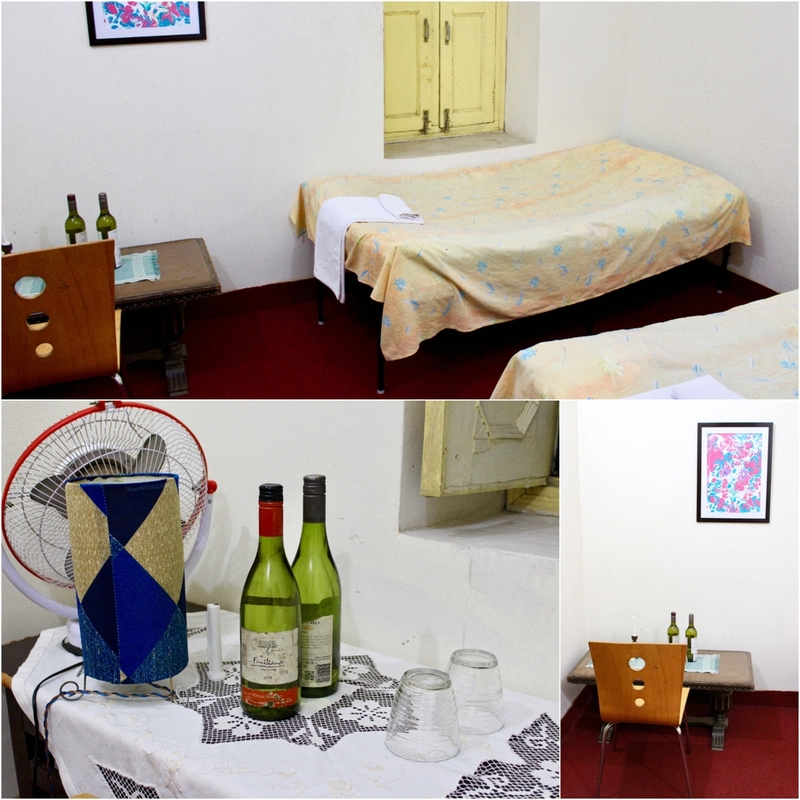 Each of the suites were a preferred escape whether you are a couple or a big group. However, Lyat and Julia mostly witness creative people as guests – artists, musicians and people who love yoga and meditation. The Master bedrooms had a beautiful flower painting. On the mantelpiece, we could see two little lamps, a few reads, along with cute little props like painted stones. The bed in the master bedroom is big enough to accommodate 3 or 4 people while there is also cane furniture for one to relax! It was really spacious and perfect for a family like us. We were 5 people in total and each one of us was happy about the ample, wonderful and clean space we had for us as well as our luggage. Comfortable mattresses as well as pillows made us relax even more. 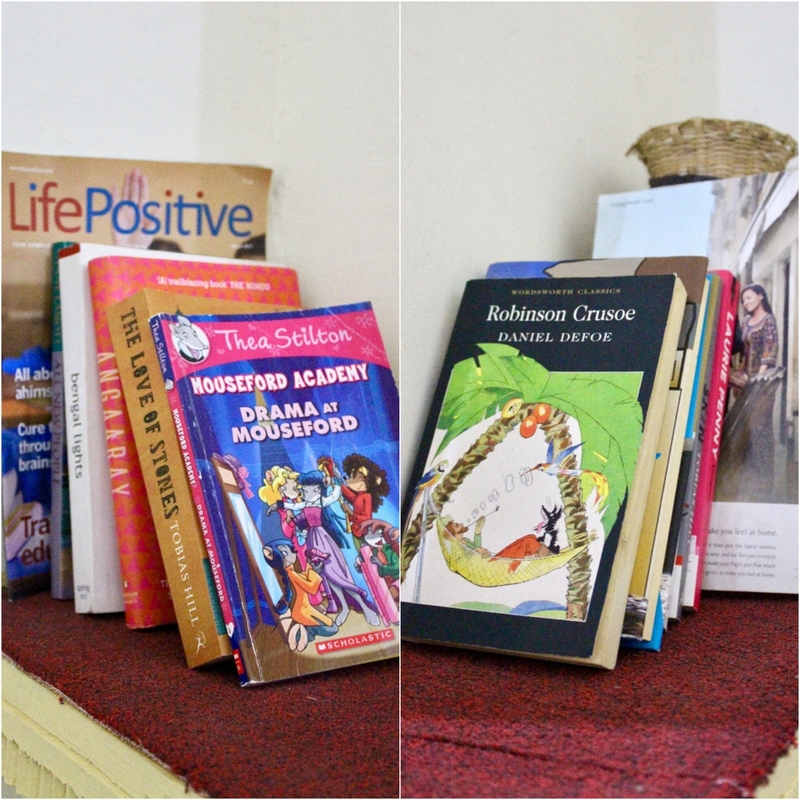 However, we were there in monsoons and did find some mosquitoes & insects in the property. The caring host provided Odomos and Good Knight to keep the mosquitoes at bay. Though, we were scared of them but the workers were used to them. They simply picked mosquitoes with their hands and threw them out and we were as astonished to see that as you would be reading this. Coming to our love for food, before I tell you about what I ate, I would like to tell you where I ate. The common dining room is a really pleasant looking space with calm and composed interiors. Walls adorned paintings done by Julia and Lyat’s kids. The collection on the wall also includes cross-stitch pieces of art done by Julia herself. 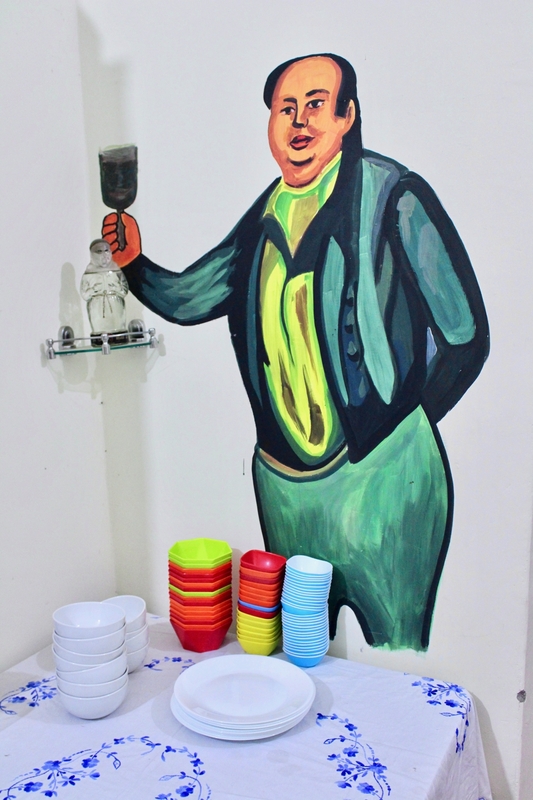 Caricatures of man and woman are painted across opposite sides which add more colours and visual art in the room! 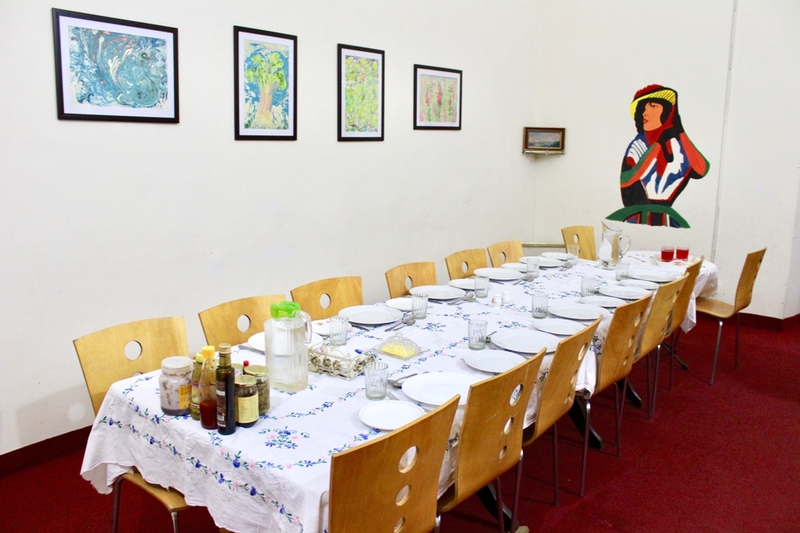 The big dining table which could easily fit atleast 15 people at one time has a stock of jams, pickles, butter, and interesting spices of the mountains etc. Two tables conveniently stocked cutlery, bowls, plates as well as a toaster. The food is cooked with love and warmth by the workers trained by Julia and Lyat. 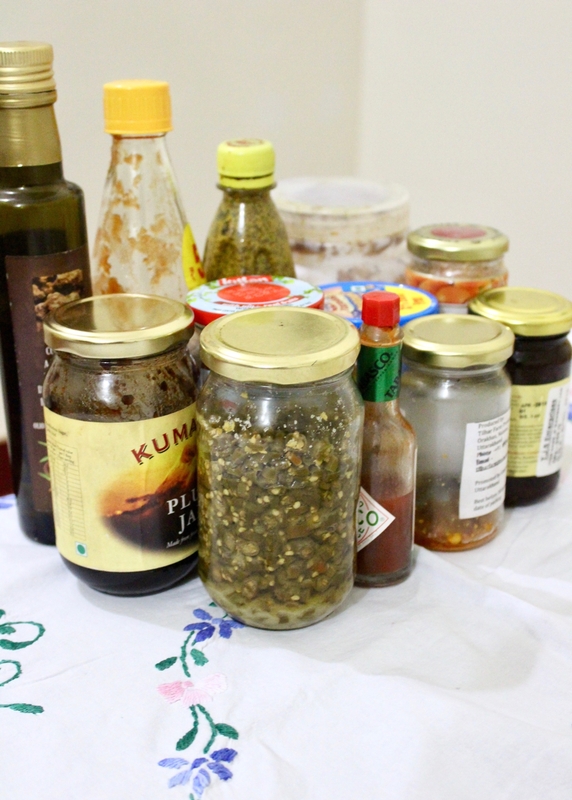 Our first meal here was Kumaon meal and we loved the flavours. 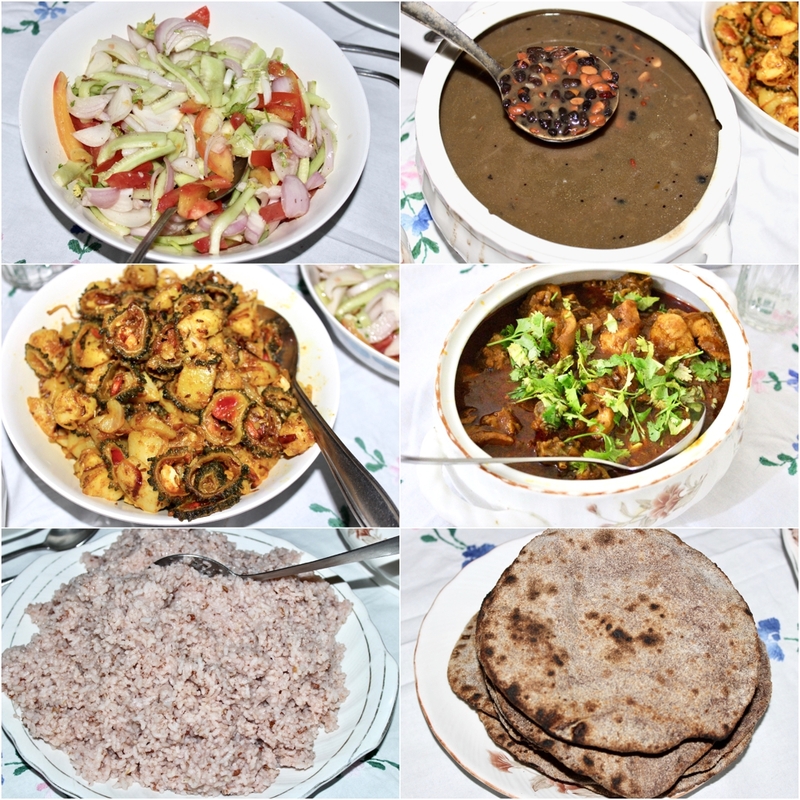 The menu included Pahadi Lal chawal (Red Rice), Bhat Ki Churkani (Uttarakhand special dal), Madua ki roti, Bhang Ka Namak (Must try this) and salad. 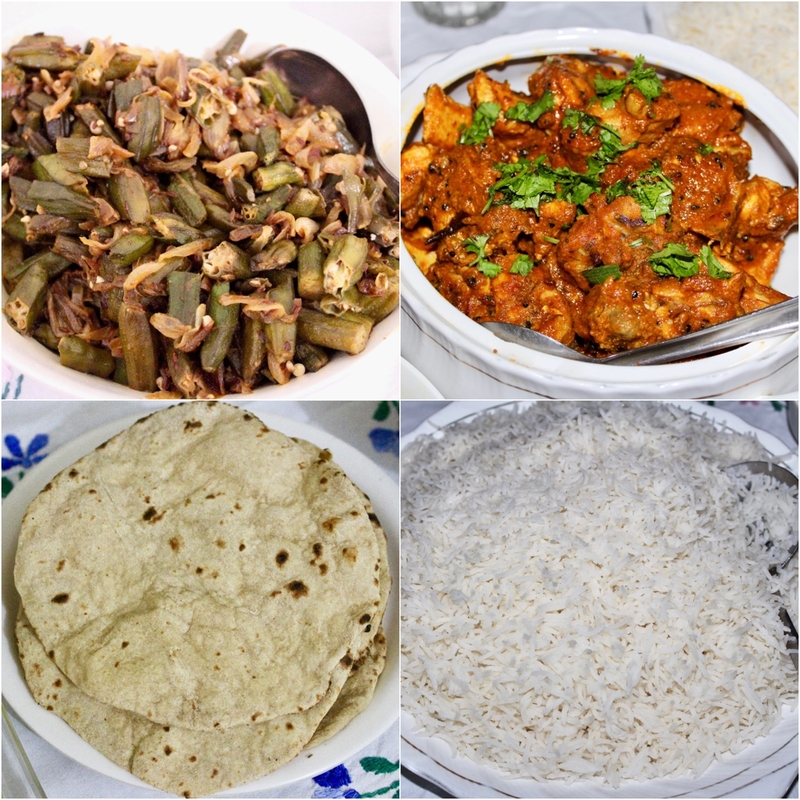 However, special additions like Aloo Karela and Chicken Curry was done for us. 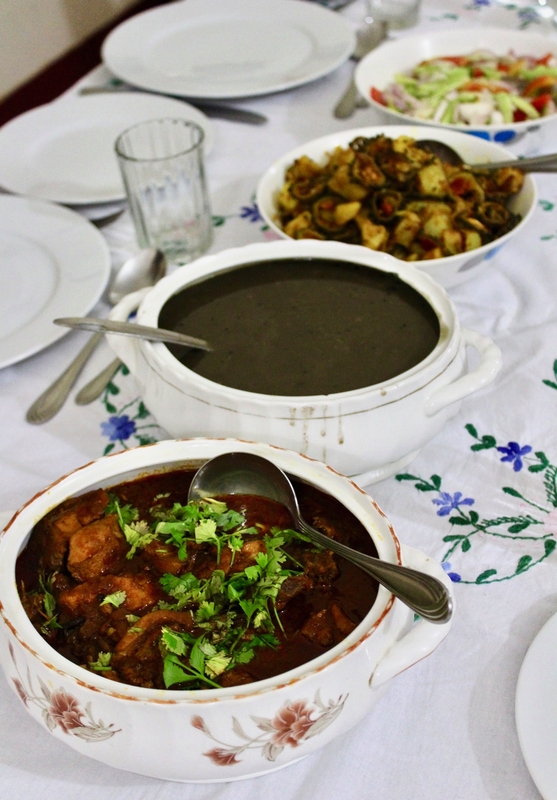 We loved the simplicity of the food and the homely taste. 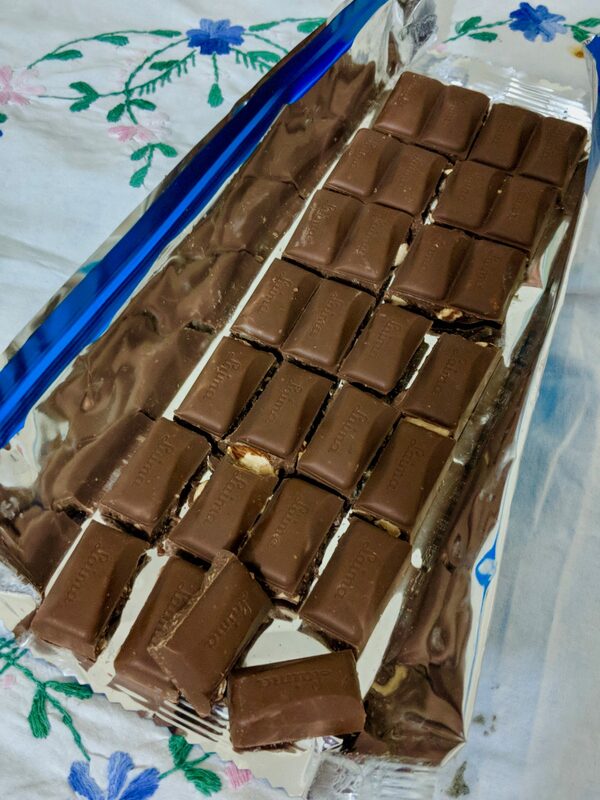 For our sweet tooth, there was Chocolate Cookie Slice. 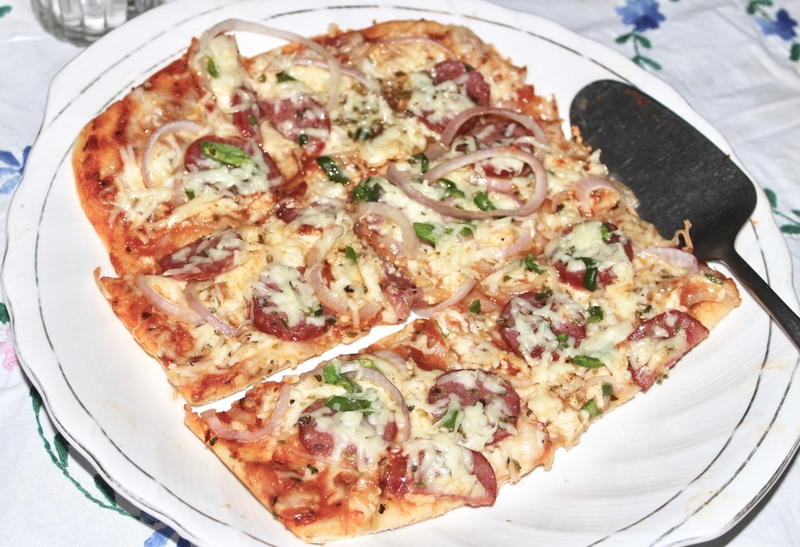 The yummy and soft slices were a treat and just melted in the mouth. Mornings were a true refresher here. 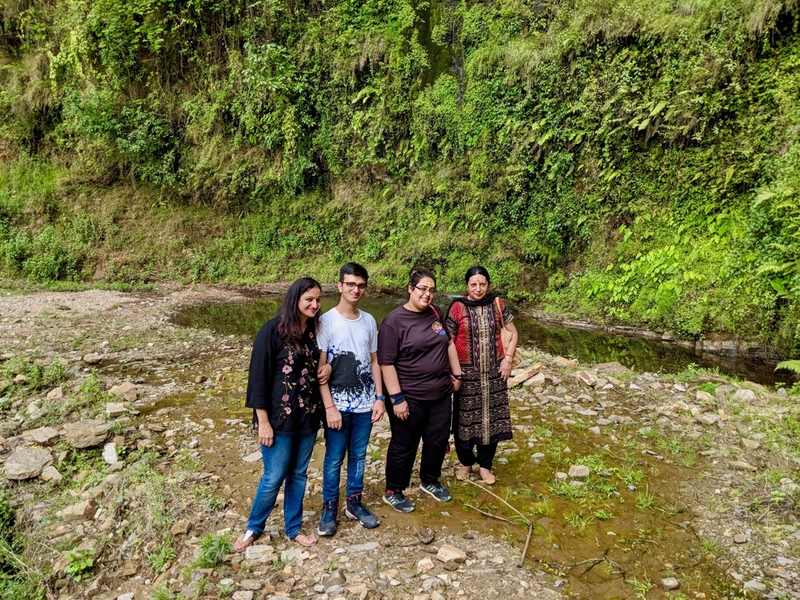 Not everyday do we witness a green valley, chirping birds and sunrise views! 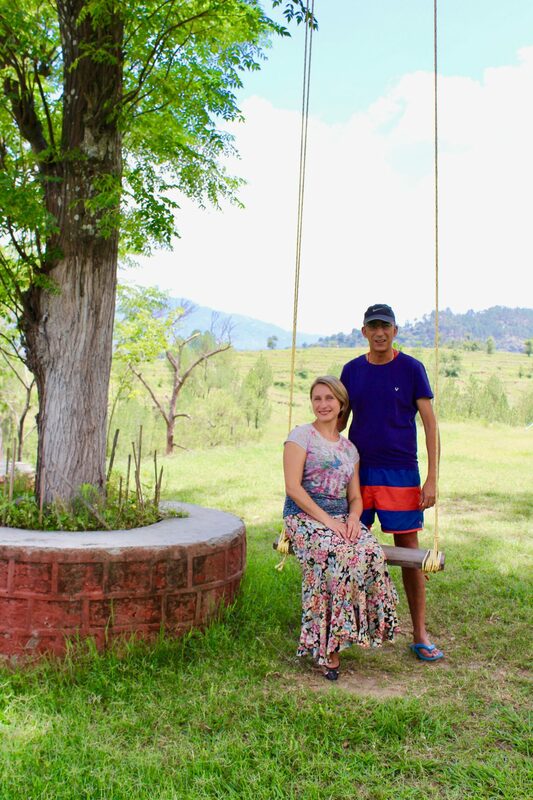 We were all eager to wake up early here (unlike in Delhi) and sit in the outside area to enjoy the stunning view of the mountain ranges. I was completely captivated with the whole aura of the place. 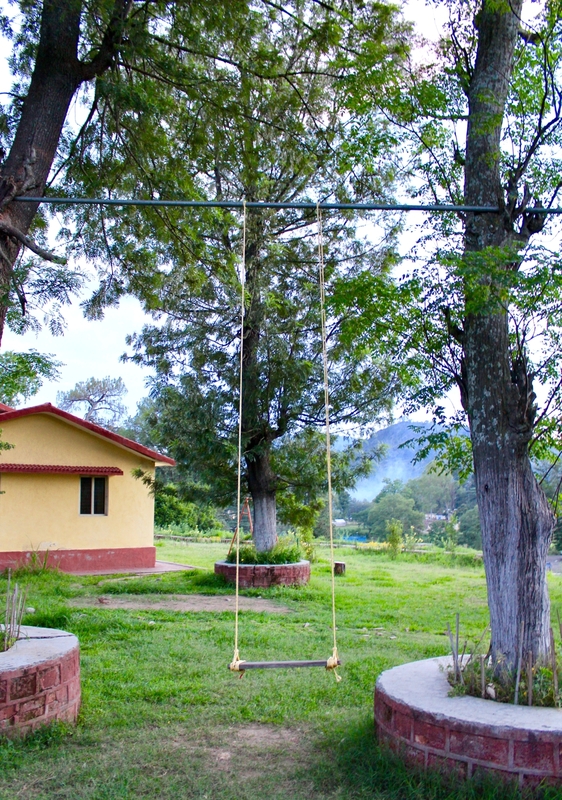 Beautiful flowers, a river flowing and a swing where we could just feel our childhood alive! 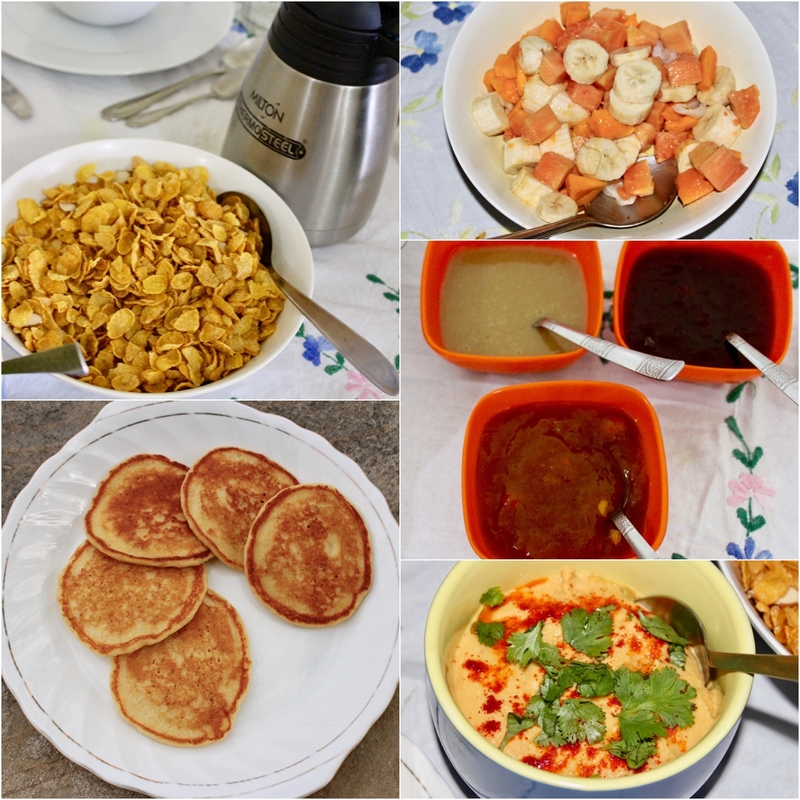 Julia asked us our preferences for breakfast and we always believe in a hearty breakfast while we travel. 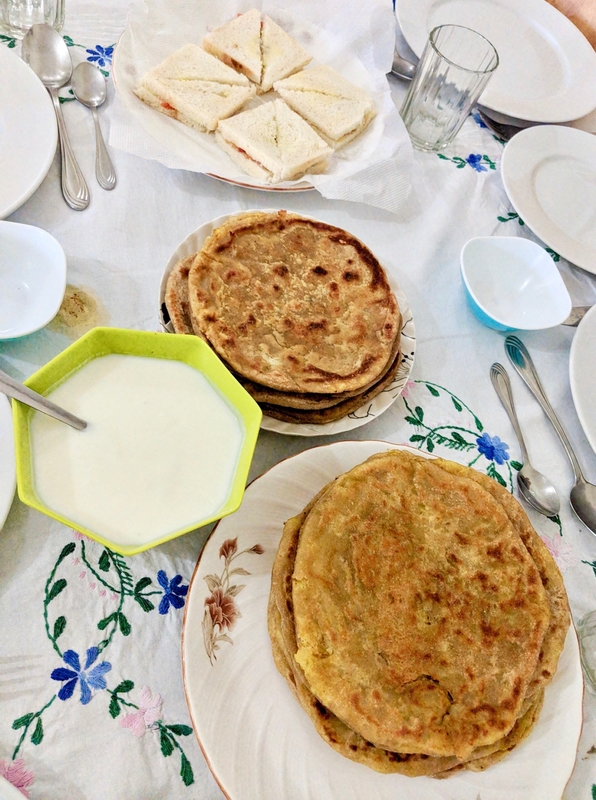 Her usual breakfast menu is omelette, toast, milk, cornflakes but she included paneer and aloo parathas as well for us. I think we Delhiites are spoilt with generous stuffing of paneer/aloo in our parathas but this one was not what was as per our expectation. I would lie if I say I liked the parathas. 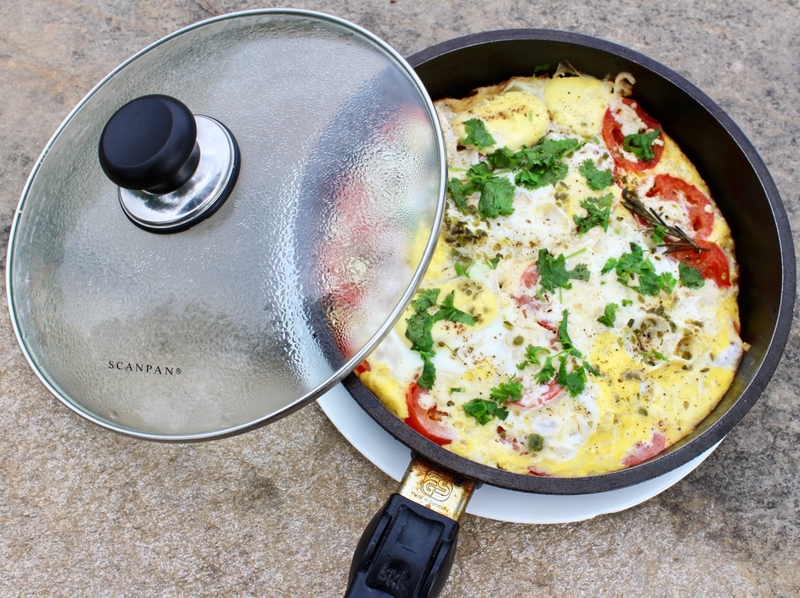 Though I loved the omelette served with toast. She also organized sandwiches for us but the addition of onion with cucumber and tomato didn’t go well with my tastebuds. Julia joined to ensure everything went smooth! We also sat with her to understand where we should head for our sight seeing. She being a European, I honestly didn’t expect her to know much about India’s rich heritage or our Gods, but it was really nice to hear from her about the tourist as well as spiritual places we should visit around. 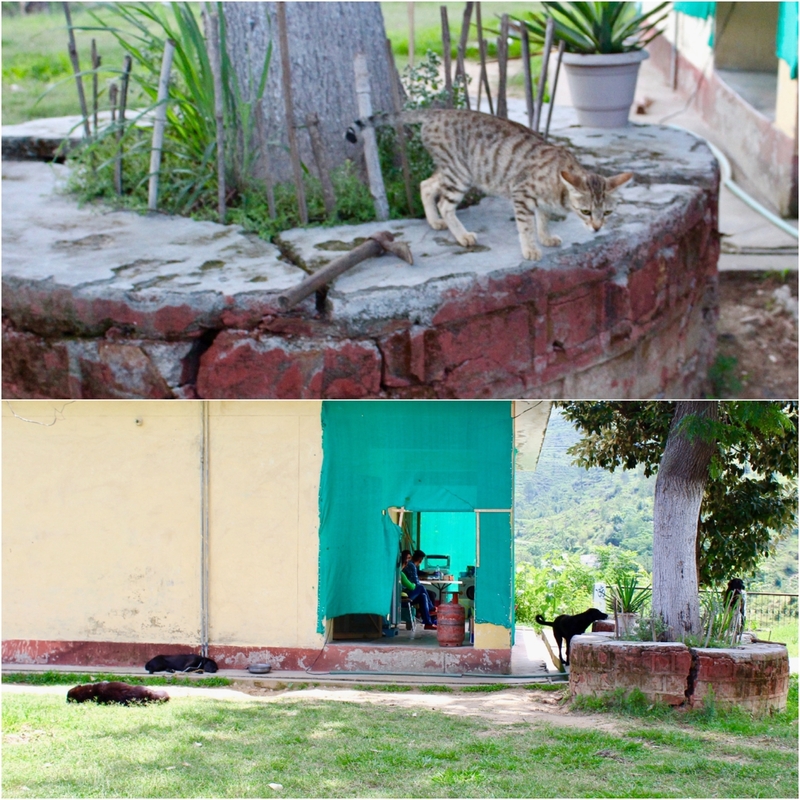 Her suggestions were Almora Zoo, Chitai Mandir and Jageshwar Temple. 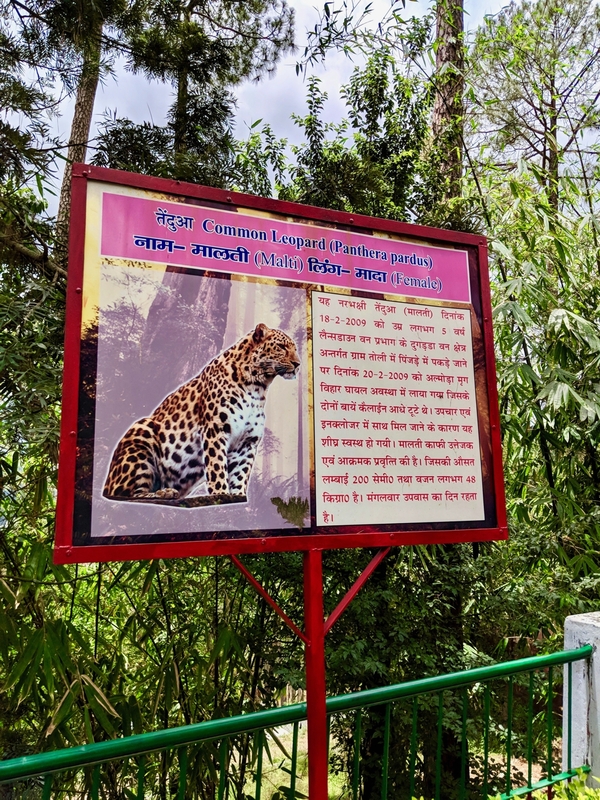 Our first hault was Almora Zoo where we saw the Leopard. 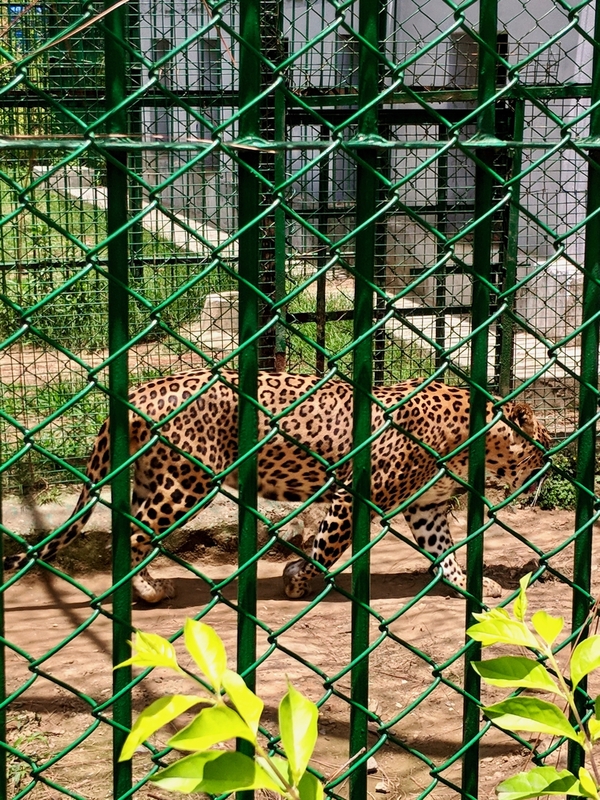 The scary animal commonly known as Tendua was a delight to watch as he was roaring and roaming in the cage. Chitai Mandir, our second stop was a temple dedicated to Golu Devta, the lord of justice. 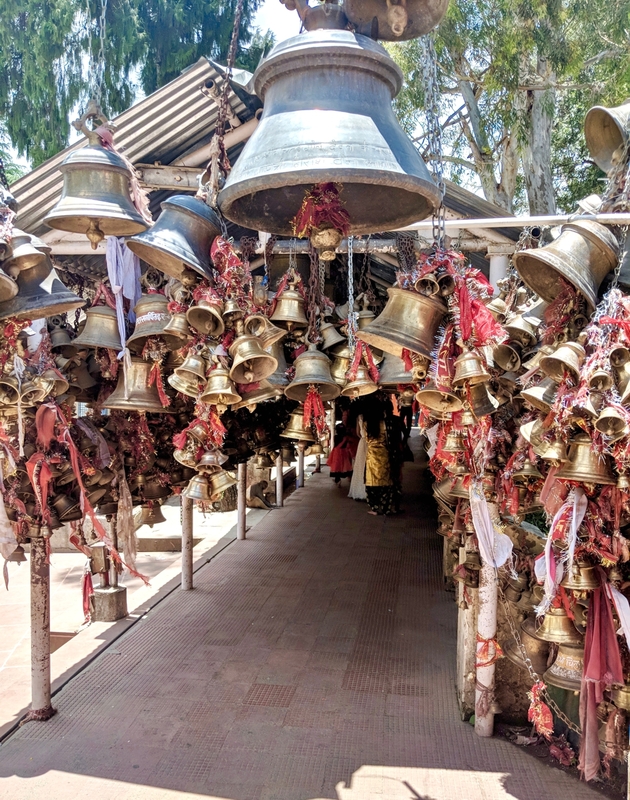 It is a belief that if you have a court case going on and you tie a bell with the wish written on the piece of paper, the wish will be granted and you have to come within an year of your wish being fulfilled to tie the bell again. It was a beautiful sight with bells around totally worth visiting. 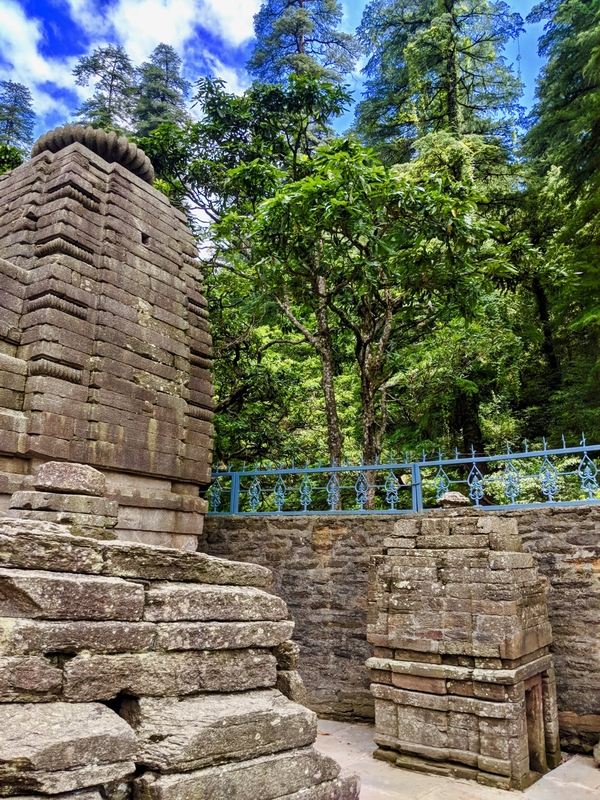 Jageshwar Mandir was again a marvelous devotional sight. 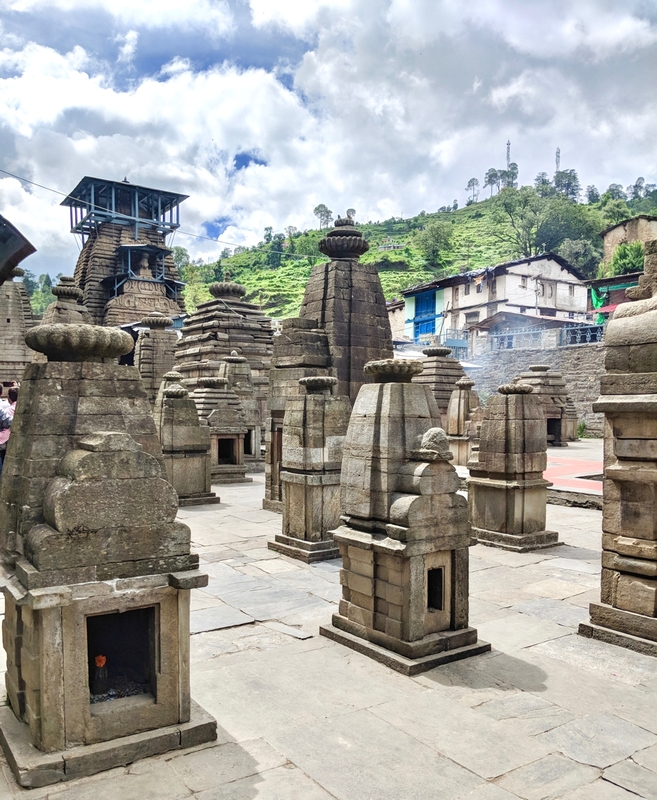 With 2 main mukh, there were a cluster of small temples dedicated to different gods. 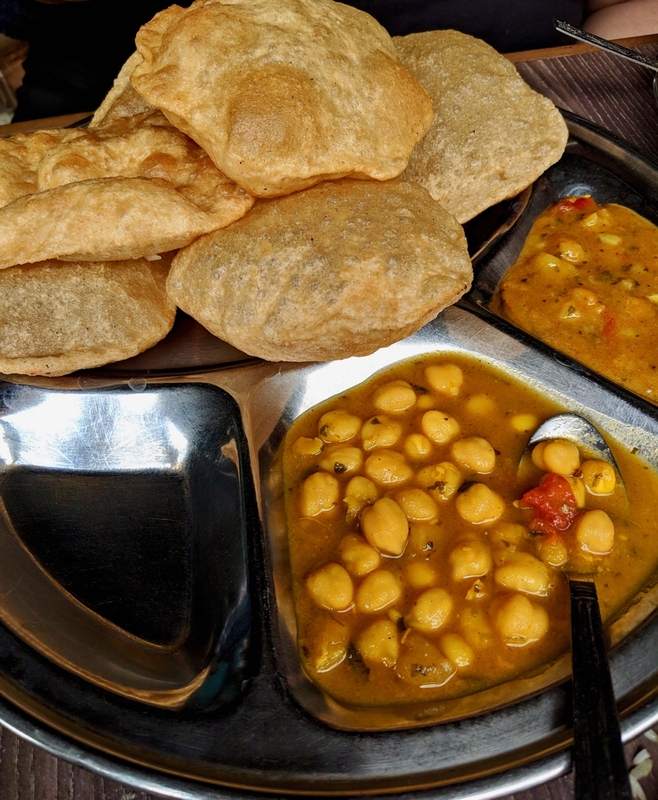 We also stopped by at a dhaba closed by for some yummy aloo-poori as well as a Thali which had chole, dal and roti. The drive to the place was beautiful with the vivid clouds in the sky and tall trees. Julia also recommended us to go to the museum but that was unfortunately shut that day. 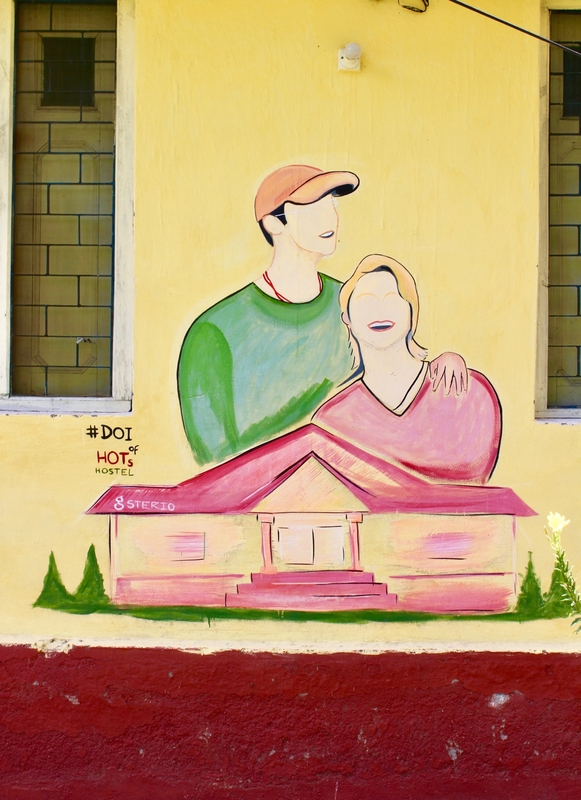 We loved our sightseeing and came back to the lovely property. As we arrived back we were served fresh lemon juice. Loved these gestures! For dinner, we were asked our recommendations and we had heard great reviews on social media about the pizzas here. So without a doubt we asked if pizzas can be done and to our respite she said yes. 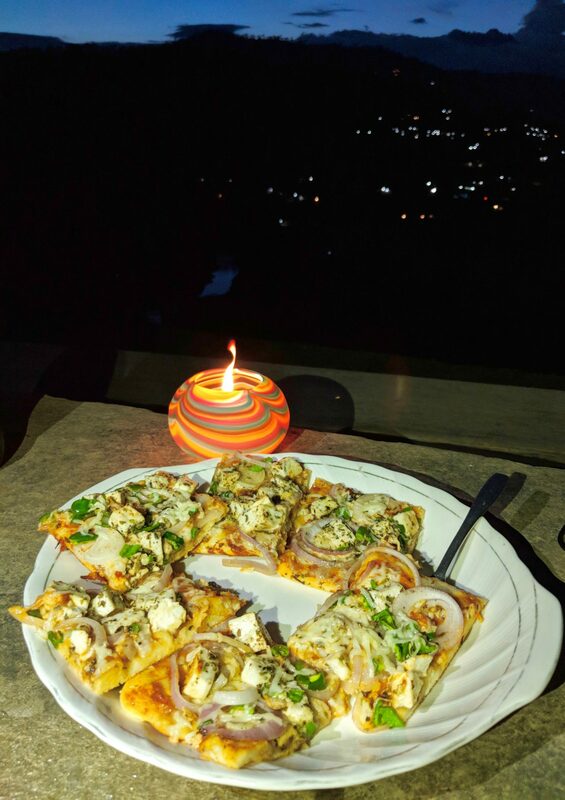 These were one of the best pizzas I have had, not only because of the great taste owing to the fact that Julia herself baked these with her team but because we sat by in the garden having our scrumptious meal with a view of the mountains and river under the open sky. Isn’t that something anyone would cherish! 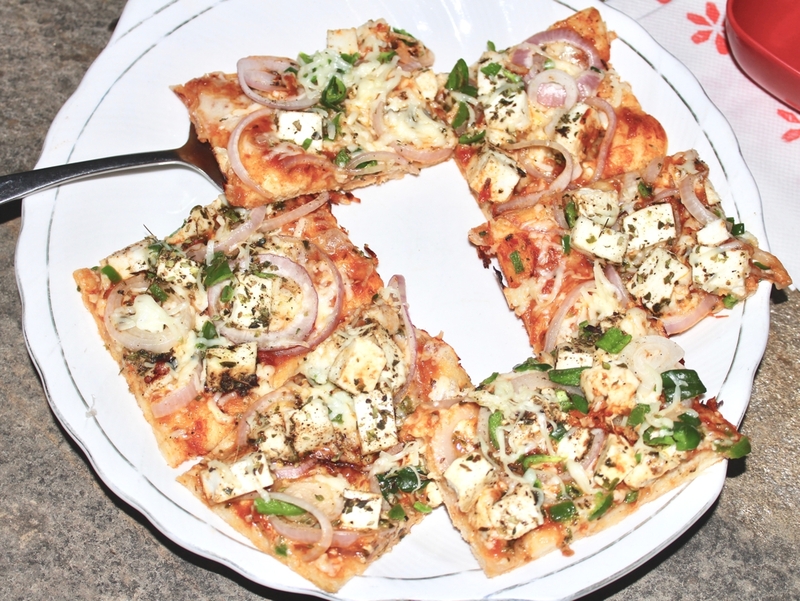 The Veg pizza had paneer topping while the non-veg had pepperoni! Perfect pizzas I would say! After our pizzas, we came back to freshen up and headed to the dining hall for our dinner. 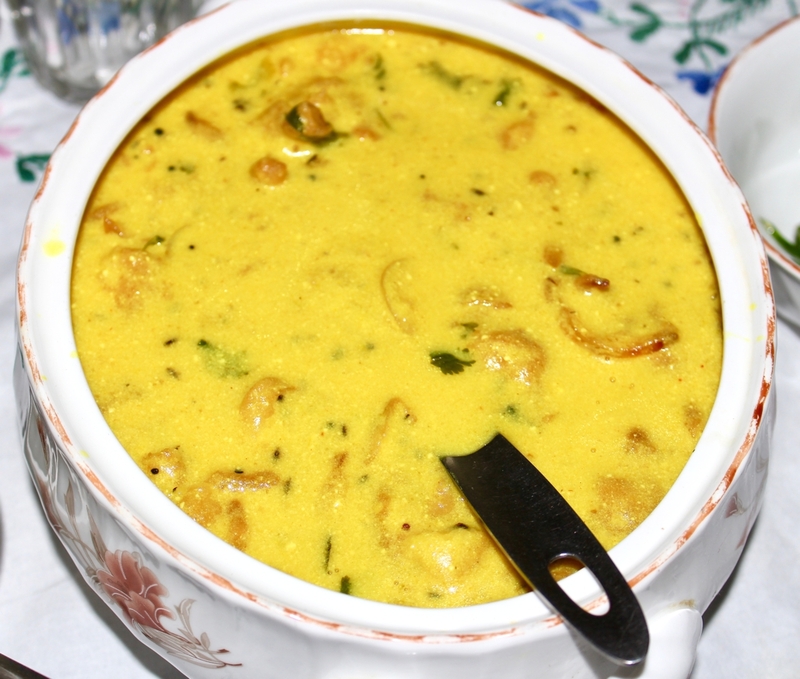 The dinner menu included bhindi, kadhi pakoda, chicken, onions, pudina chutney, rice and roti. Loved the taste, presentation and flavours coming out of it. 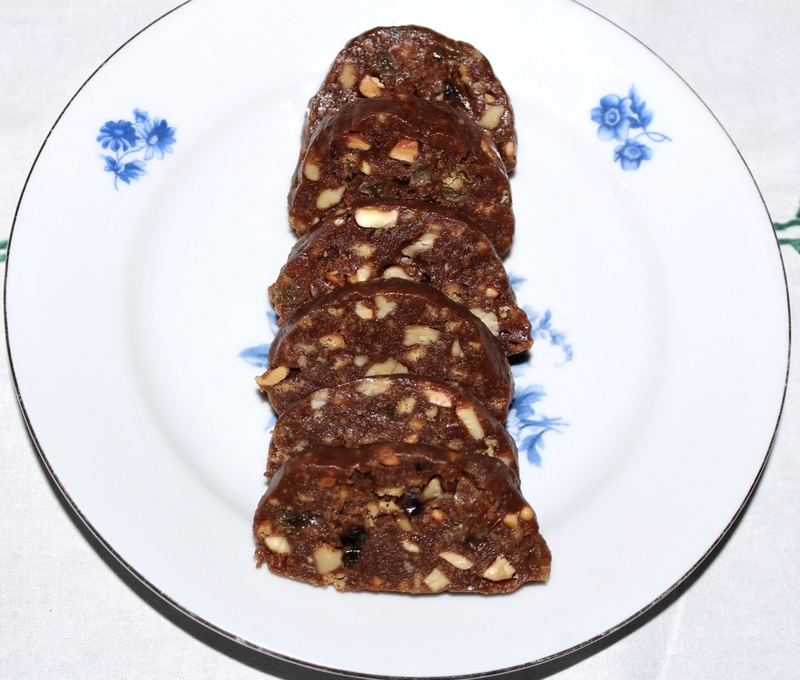 Our dessert for the night was an amazing Latvian Chocolate. We retired for the day and headed back to the room. 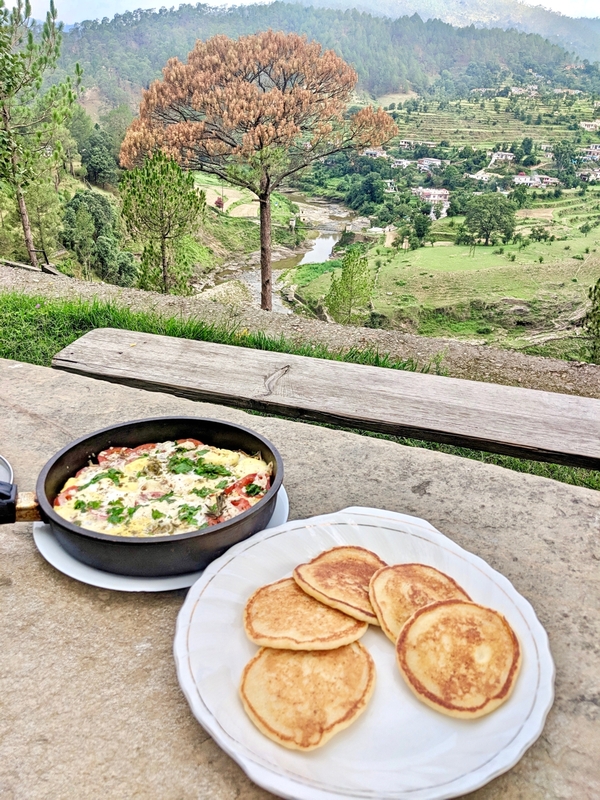 Breakfast was Lyat’s famous egg pan – layers of potatoes, onions, tomatoes, cheese and eggs with home grown rosemary and thyme! Such a flavourful and unique dish! There was hummus as well which Julia made and it was absolutely yum! We also had something more delightful in breakfast which were pancakes! Yummy yummy yummy are the only words we could think of! I paired the pancakes with home made dulce de leche (caramel sauce) which tasted heavenly. There were also cut fruits for us and to stay awake I ordered for a coffee as well later! Oh! 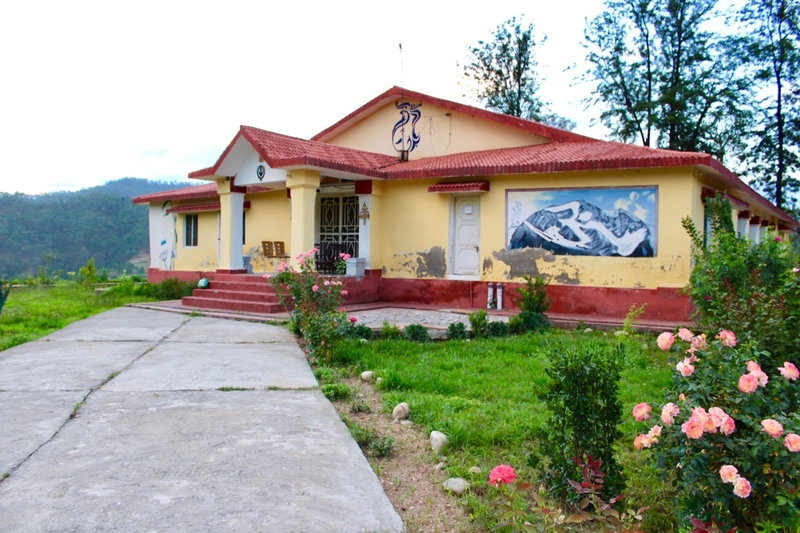 Did I tell you that they also organize special activities like Bon Fire, Day Trips to Almora/ Ranikhet etc. 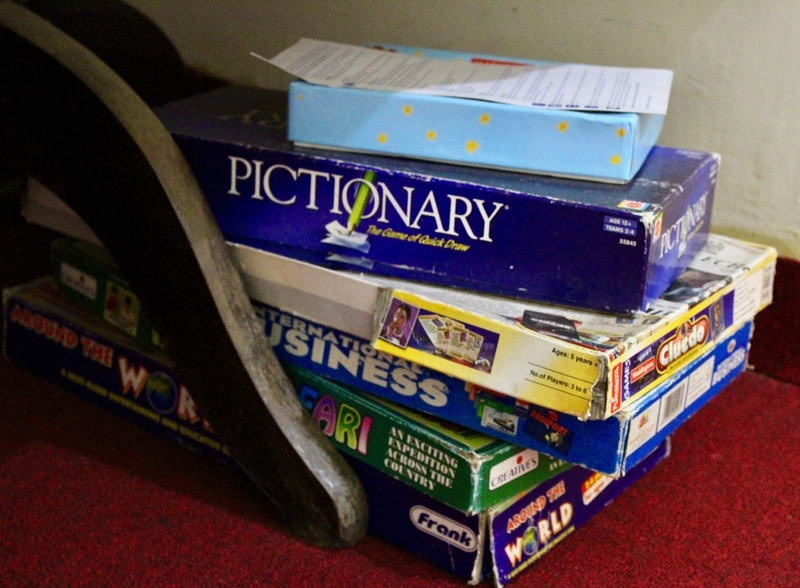 There are also a pile of games stacked under the table like Pictionary, Cluedo, Business etc which people can play if they feel like. 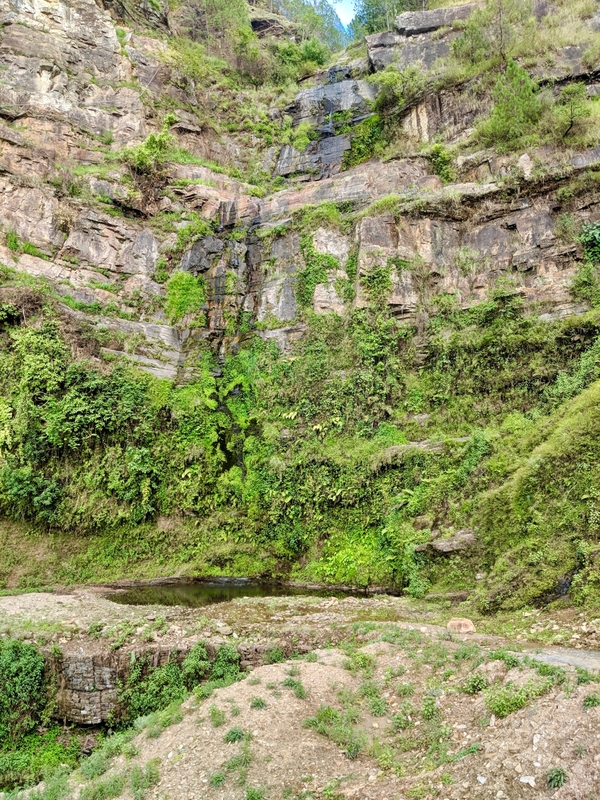 We also made our way to a picturesque waterfall which is at a walking distance from the property. Julia was sweet enough to send one of the boys with us to help us with directions. While we could just live here and forget about our life back home, it was time to leave our lovely abode and head back. 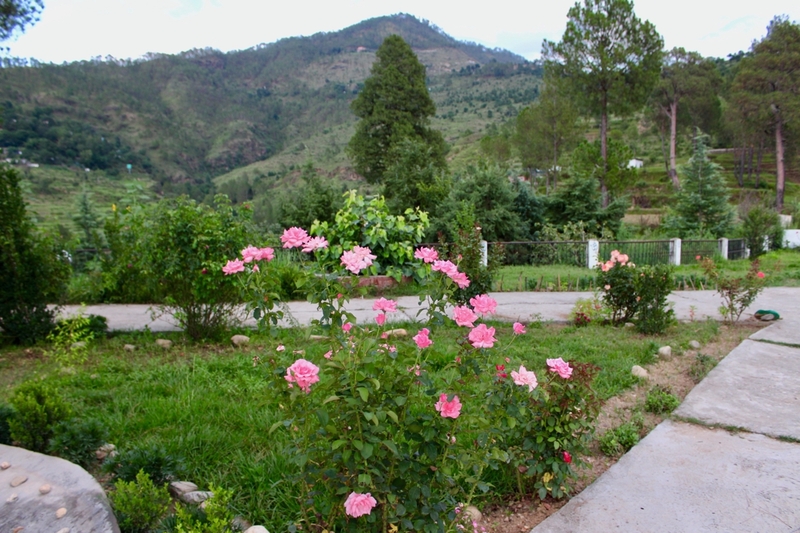 Though before we head back to Delhi, we stopped at another beautiful property at Ranikhet. Keep checking ChicLifeByte to know more! 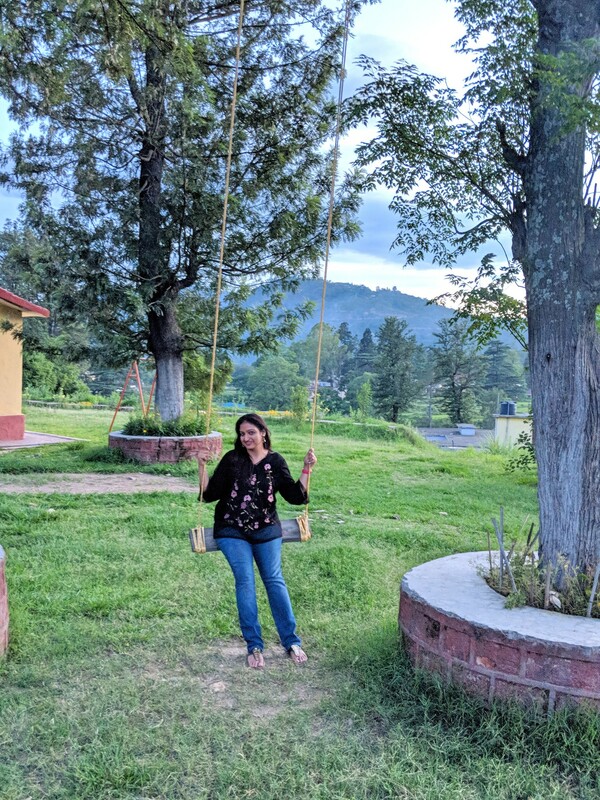 PS: The highlight section of my Instagram showcases some interesting and breathtaking sights of Innisfree At Hawalbagh. You could check the highlight which says Hawalbagh!